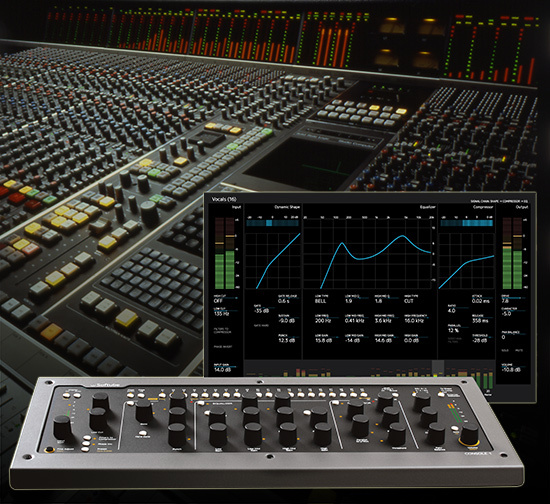 Solid State Logic will officially endorse the new Softube Console 1 model of their classic console SL4000E, the Console 1 was first featured on Pro Tools Expert in April 2013. The model is included in the purchasing price of Console 1, and consists of the coveted black knob E242 equalizer, the classic channel compressor, the musical expander/gate and the sweet high and low cut filters from that channel. We have also included a model of the harmonics, distortion and non-linearities obtained from overdriving the SL4000E console, which can be used to add analog distortion across the entire mix for that coherent ”glue” sound. Adding to that is Softube’s own Transient Shaper, which is not a part of the SL4000E console or any other analog unit for that matter. James Motley from Solid State Logic—head of business, workstation partner products—says: We were very interested when the team from Softube approached us about Console 1. Our customers understand the benefit to their workflow that a console can bring and we were intrigued to see how this could be integrated with a DAW. We’ve long been fans of their plug-ins and when the opportunity arose to work together we were confident that we could do something special together. Console 1 will be in stores worldwide from February 12. US list price is $1099, with a probable street price of $999. In Europe, the list price will be €849, probable street price €799 (including 19% sales tax).